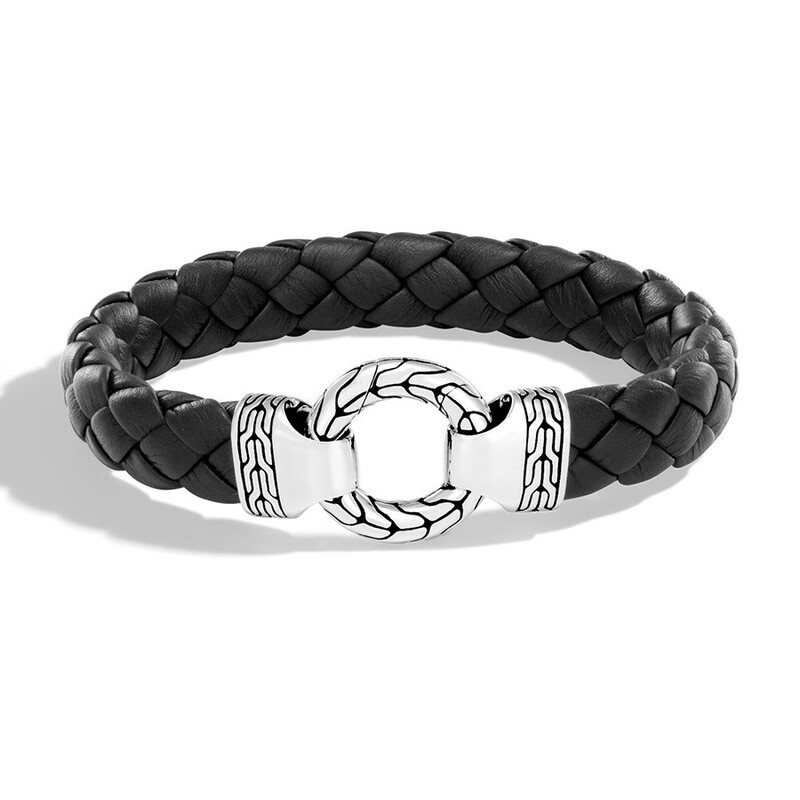 Featuring a modern twist on a classic jewelry design, this John Hardy black leather, and sterling silver bracelet makes a bold statement. Savor the soft, sleek feel of the hand-woven leather, and be mesmerized by the contrasting carvings inspired by the Classic Chain collection. This eye-catching piece is a true stunner.